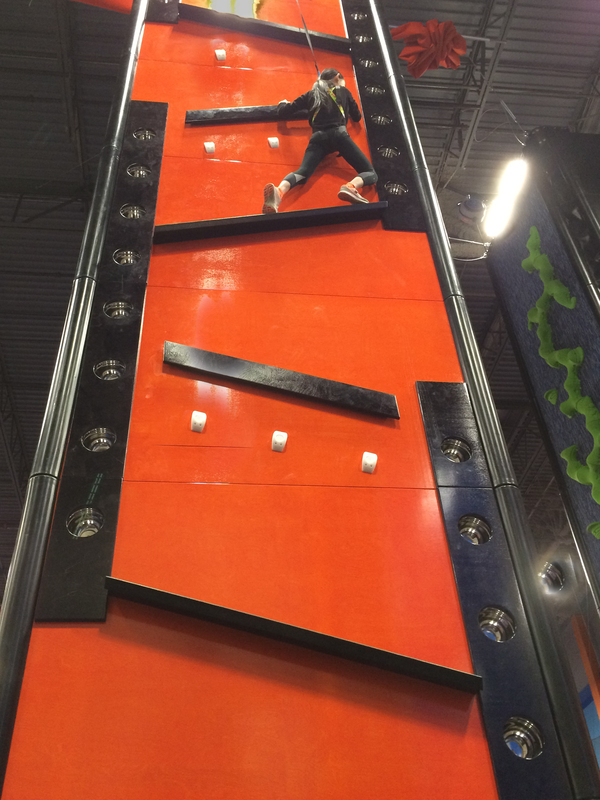 This weekend I went rock climbing at SkyZone. 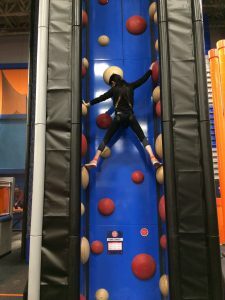 Sky Zone is an indoor trampoline and rock climbing park. There were 13 different walls I got to climb! The first one was called Zig Zag, the name described the climb. There were deep holes along the edges of the wall, where I put my feet in, then when I got to a pair of diagonal parallel beams, I shuffled along to the next set of holes. It was really awesome because all your bodyparts have to coordinate, grabbing or hoisting your body higher. 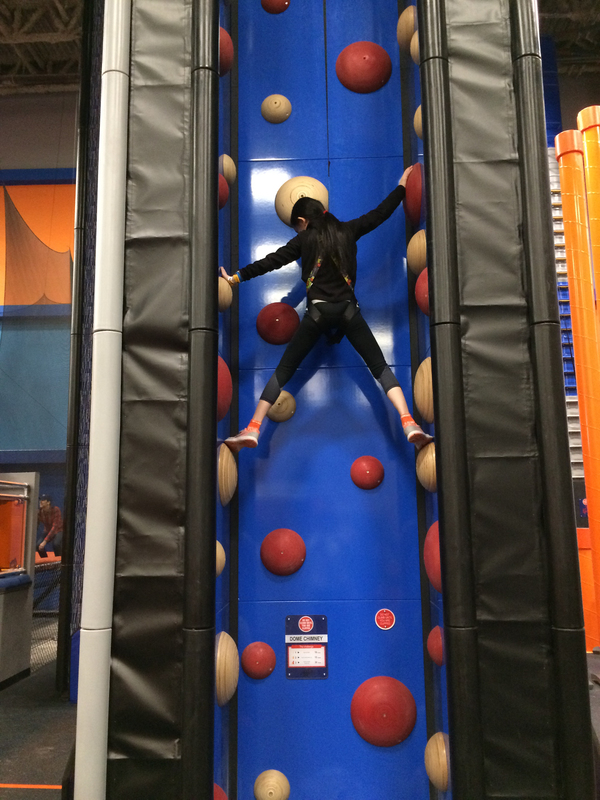 When I got to the top, I rang a big red button, let go of the wall, and floated gracefully to the ground!  It felt like I was parachuting! The next one was pretty extreme, it was a long pole with rungs, and at the top, there was a platform. In front of it, there was a hanging punch bag. When I got to the top and looked around me, the people beneath looked tiny! My heart pounded. Then, before I could lose my courage, I took a deep breath and leapt. For a moment, I soared through the air and saw my fingers extend to touch the punch bag. Then, I “plunged” to the ground. The cheers of the onlookers rang in my ears as I descended. When I looked up again, I was amazed that I had jumped from such a high place!